The flute has been around since the days of the caveman. Originally made out of pieces of bone or wood, today the flute is made out of metal, and it is an essential piece of our musical world. 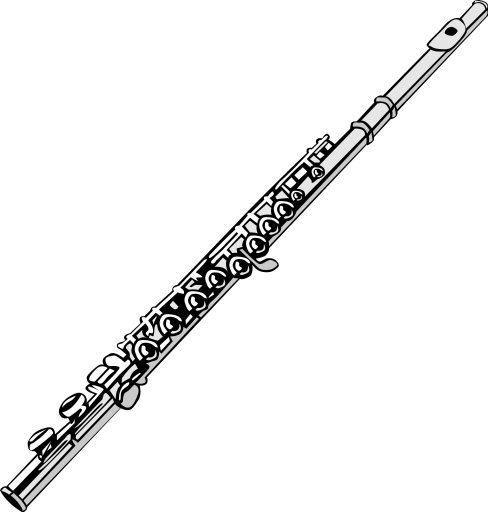 The flute has the highest pitch of any instrument, which helps add variety to musical arrangements. Sound is produced when you blow air lightly over a hole in the end of the tube. This splits the air and creates a high pitched melodic sound that can be controlled by the different valves on the length of the tube. Click here to read more in-depth about the flute. Here’s a printable page about the flute. Click here to read more about different types of flutes. Click here to read about what makes a flute work, according to physics. Here’s some tips on taking care of a flute. Click here to read about the smallest flute in the flute family, the piccolo. Here’s some free flute lessons! Here’s an introduction to the flute from the Philharmonic Orchestra in London. In this video we get to see how a flute is made. This video is about the very first version of the flute we’ve ever found. Flute 101: here’s the basics. Here’s a fun idea, make your own pan flute out of straws. Check this guy out, that’s a creative way to play a flute now isn’t it?